National Safety Month – celebrated each year in June – focuses on reducing leading causes of injury and death at work, on the road, and in our homes and communities. Led by the National Safety Council (NSC), organizations across the country work to raise awareness of what it takes to stay safe. This year, the NSC has chosen the theme, “What I Live For.” The idea is that everyone has something they are passionate about and engaging in safe behaviors allows them to live for whatever matters the most to them. You can learn more at National Safety Council. So what matters most to your employees? What do they live for? We can help you find just the right gift card to help your recipient live a little better and a maybe a little safer, too. 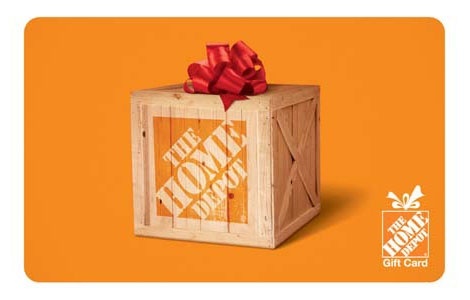 Proud of their home – from locks and alarm systems to all the tools they need to do any home improvement project, The Home Depot has literally thousands of items that make home a nicer and safer place to live – and help them do those improvements safely, too. For full details, click here. Passionate about the outdoors – Bass Pro Shop has all the proper equipment for camping, hiking, boating, fishing or any outdoor activity. They even offer Outdoor Skill Workshops in-store to help learn how to safely enjoy outdoor-time. For complete details, click here. Do they love great food? There’s something for everyone to love at Outback Steakhouse: from freshly grilled steak, chicken or seafood to a variety of crisp salads. 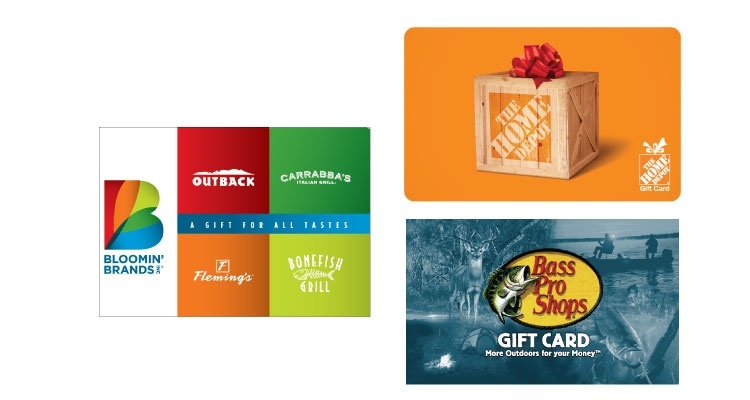 And Outback Steakhouse gift cards are also redeemable at U.S. Bonefish Grill, Carrabba’s Italian Grill and Fleming’s Prime Steakhouse & Wine Bar. Find complete information here. No matter what they are crazy about, you can give the gift that helps them enjoy a little more of it. Contact us here or give us a call 1.888.472.8747. It's your safest bet!